Summary: Jack’s summer is not looking too great: he’s expected to take care of his autistic sister Maddie while his single mom struggles to make ends meet with two jobs. 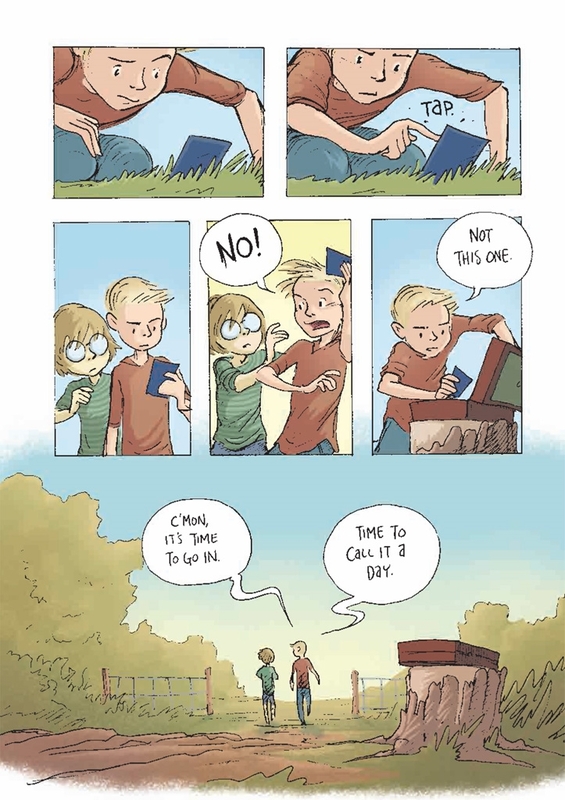 At a flea market, an unsavory vendor (with the help of Maddie, speaking for the first time) trades Jack a box of seeds for the keys to his mother’s car. Needless to say, this doesn’t go over too well with Mom. The next day, Maddie is outside at the crack of dawn, digging up the backyard to plant the seeds. Before long, the two kids have created a garden of plants that come to life in more ways than one, and that attracts both the neighbor girl, Lilly, and a talking dragon. After a gigantic snail almost crushes Maddie, Jack has had enough, and tries to burn the entire garden. But complete destruction seems impossible, and by the end of this book, Maddie’s been carried off by a garden monster, and Lilly and Jack are arming themselves to go after her. Readers will have to wait for the next installment to see if they will be successful. 208 pages; grades 4-7. 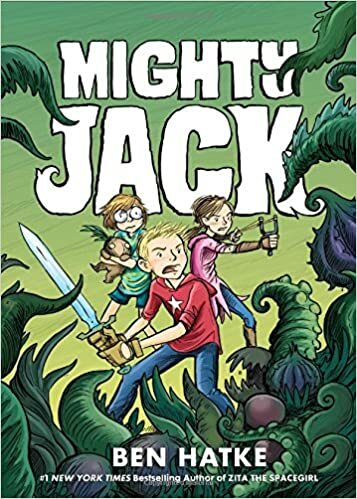 Pros: This graphic novel retelling of Jack and the Beanstalk has all the adventure, compelling characters, and fantastic artwork to make it irresistible to middle grade readers.